This notebook has three objectives: (1) to summarize some useful information about Legendre polynomials, (2) to show how to use Mathematica in calculations with Legendre polynomials, and (3) to present some examples of the use of Legendre polynomials in the solution of Laplace's equation in spherical coordinates. In our course, the Legendre polynomials arose from separation of variables for the Laplace equation in spherical coordinates, so we begin there. The basic spherical coordinate system is shown below. 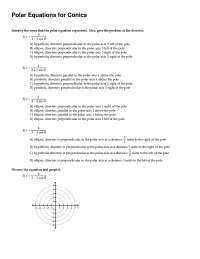 The location of a point P is specified by the distance r of the point from the origin, the angle f between the position vector and the z-axis, and the angle q from the x-axis to the projection of the position vector onto the xy plane. (3)rn Pn HcosfL and r-Hn+1L Pn HcosfL , where n is a non-negative integer and Pn is the nth Legendre polynomial. These solutions can be used to solve axisymmetric problems inside a sphere, exterior to a sphere, or in the region between concentric spheres. We include examples of each type later in this notebook. Now we look in more detail at Legendre's equation and the Legendre polynomials. dh F + l P = 0 , -1 < h < 1 . Equation (6) has regular singular points at the endpoints h = ± 1, and we require the solution P to be well-behaved at those points. This is our first example of a singular Sturm-Liouville system. Those special values of l for which there are such well- behaved solutions are the eigenvalues of the problem. (7)an+2 = n Hn + 1L - l Hn + 1L Hn + 2L an . (10)Pk HhL = 1 2k k ! dhk Ih2 - 1Mk . The Legendre polynomials are built into Mathematica. Mathematica's notation is LegendreP[k,h] for Pk(h). We now use Mathematica to obtain the formulas for the first 11 of these polynomials. We put them in a table. first five are given below. 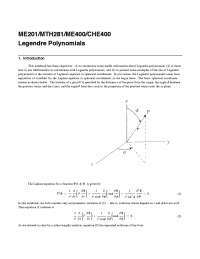 These formulas are useful in obtaining Legendre expansions of polynomials. A second equally useful set of formulas may be derived from these and from the trig addition and double angle formulas. In this second set of formulas, we express cos(nf) in terms of Pk(cosf), with n an integer and k § n. The first five of those formulas are given below. These last two sets of formulas are especially useful in solving boundary value problems in spherical coordinates when the boundary conditions have special, simple forms. To get some idea of what these polynomials look like, we construct graphs of the first 7. According to the general result about the zeros of solutions of Sturm-Liouville systems, the kth polynomial should have exactly k zeros in the interval (-1,1). We first define a function legraph[k] that produces a graph of the kth polynomial, and then we use a Do loop to construct the first 7 graphs. The size of the graphs throughout this notebook is controlled by the SetOptions command below. The value 250 is appropriate for a printed version. A value of 350 might be better for computer display. We see the expected alternation between even and odd functions, and the expected number of zeros in each case. This can be continued to any order. (15)P£n+1 HhL - P£n-1 HhL = H2 n + 1L Pn HhL . This formula is valid for n r 1. (18)P2 n H0L = H-1L n H2 n L ! 2 n + 1 .
which again is zero for n even, and can be evaluated for n odd by using (18). We can also evaluate integrals of the form Ÿ hPnHhL „h by using the recurrence relations (13) and (15). The result of the somewhat tedious calculation is the formula below, valid for n r 2. 1 hPn HhL „h = n H2 n +3L Pn-2 H0L - H2 n + 1L Pn H0L - Hn +1L H2 n -1L Pn+2 H0LH2 n -1L H2 n + 1L H2 n +3L . We will use some of these integrals in the examples of expansions in the next section, and in the Laplace equation examples in the last section. 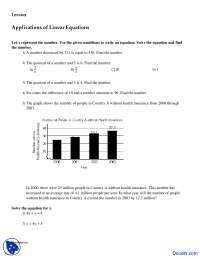 1 Pm HhL Pn HhL „h = 0 for m ¹≠ n .
1 f HhL Pn HhL „h . As an example, we expand the step function given below in such a series. 1 Pn HhL „h . (32)Cn = @Pn-1 H0L - Pn+1 H0LD , where the values at h = 0 needed in (32) are given by equation (18). We now use Mathematica to calculate the coefficients up to n = 51, starting with n = 1. 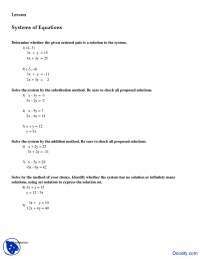 All the even coefficients are zero. Now we define the kth partial sum, and then a graph of the kth partial sum, along with the original function. Because the coefficient of P0 is zero, we may start the sum over i with the i = 1 term. The given function f(h) is shown in blue and the partial sums in red. We construct a sequence of partial sums which may be animated to see the convergence. We go up to P51. The even terms are zero, so we increment by 2 in the sequence of partial sums. It would be much more efficient computationally to save each partial sum, and then use it to compute the next partial sum in the sequence. The present inefficient method is however much easier to program. The output from the calculation is sent to a Manipulate panel. You can use the slider to move through the graphs, and also to display a movie of the graphs. When we do this, we see the familiar Gibbs overshoot at the discontinuity. We also see a struggle to converge at the endpoints. For visualization in the printed notebook, we print out every 10th graph in the sequence. 1 hPn HhL „h . 1 hP1 HhL „h = 12 . We now construct an array containing the first 20 coefficients. For convenience, we give a name to the right-hand side of (34). coeff@n_D :=HHn H2 n + 3L LegendreP@n - 2, 0D - H2 n + 1L LegendreP@n, 0DL - Hn + 1L H2 n -1L LegendreP@n + 2, 0DL êH2 H2 n -1L H2 n +3LL We construct the first 20 coefficients, starting at n = 1, and storing them in the array Co2. 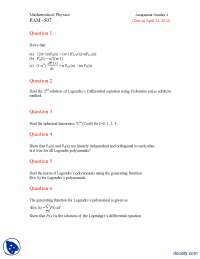 The module below defines the kth partial sum of the Legendre expansion and assigns it to legsum2. The 0.25 appearing in the module is the n = 0 term added to the sum. legsum2@h_, k_D := Module@8i<, 0.25 + Sum@N@Co2@@iDDD * LegendreP@i, hD, 8i, 1, k<DD We define a function graph[k] which graphs the kth partial sum in red and the original function in blue. Then we use a Do loop to construct a sequence of partial sums. All of the graphs of the sequence are collected in a Manipulate panel. We see that in this case, the convergence is very rapid. For convergence to graphical accuracy, 10 terms are sufficient. There is far less flailing around at the endpoints than in the previous case. For visualization in the printed version of this note- book, we print out every other graph. g HfL Pn HcosfL sinf „f . As the notation suggests, the coefficients Cn are the same in the expansions (38) and (39). 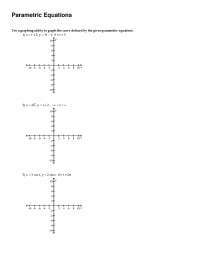 We will now use these expansions in solving the Laplace equation. For our first example, we find the electrostatic potential F inside a sphere of radius a, when the potential on the boundary is a particularly simple given function. The problem statement is given below. (45)F Hr, fL = 2 F0AHr êaL P1 HcosfL + 2 Hr êaL2 P2 HcosfL. < f § p .
Fsum@r_, f_, k_D := V0 SumAHr ê aLi Co@@iDD LegendreP@i, Cos@fDD, 8i, 1, k<E We look at the first few partial sums. a = 2.0 H** m **L; V0 = 5.0 H** volts **L; First we check our boundary condition. We plot the voltage on the surface r = a of the sphere. We use terms up to n = 51 in the series, using the coefficients that we calculated earlier. We ask for 200 sample points rather than accepting the default of 25. The plot takes a very long time because of all the evaluations of both the Pn's and the cosines. First we check our boundary condition. We plot the voltage on the surface r = a of the sphere. We use terms up to n = 51 in the series, using the coefficients that we calculated earlier. We ask for 200 sample points rather than accepting the default of 25. The plot takes a very long time because of all the evaluations of both the Pn's and the cosines. We see that the trend is correct, but that many more terms would be needed for an accurate representation of the boundary condition. Fortunately, when we evaluate the solution away from the boundary, we have the factor (r/aLi in the ith term and this greatly accelerates the convergence of the series. To show this, we look at the solution on an interior sphere, namely r = 1. We plot a short sequence of partial sums of F versus f for r = 1. We use 5, 11, and 17 terms in the partial sums. The three curves are graphically identical, as you can see by animating the sequence. Thus at this value of r, the solution is well- represented by three nonzero terms. We consider in this section the solution of Laplace's equation exterior to a sphere of radius a, with the boundary condi- tion on the sphere being the same as the one in the preceeding problem. The full problem statement is given below. Fsum2@r_, f_, k_D := V0 SumAHa ê rLi+1 Co@@iDD LegendreP@i, Cos@fDD, 8i, 1, k<E We look at the first term in the series after clearing the numerical values assigned earlier to a and V0. For r p a this is a reasonable approximation to the entire solution, because the omitted terms are higher inverse powers of r. Thus when we are far from the sphere it looks like a dipole. Higher approximations are obtained by keeping more terms. As our final example, we consider the region between two concentric spheres, with radii a and b , b > a. We solve the Laplace equation in the region between the spheres, subject to a boundary condition on each sphere. The problem statement is given below. with F Ha, fL = g HfL and F Hb, fL = h HfL. We will specify g and h explicitly shortly. We leave them general now because that makes it easier to see the structure of the calculation that way. 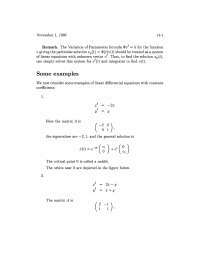 We begin by expanding both g and h in Legendre polynomials. That will make our task easier. Now An and Bn are expressed in terms of known quantities and the solution is complete. We look at a specific example. We take the functions given below for g and h.
(63)Cn = Va Co2@@nDD , Dn = 0 , where Co2[[n]] are the coefficients calculated for the second example in section 2.3. We will use the coefficients in a somewhat different way here. Our new way will be more convenient with respect to the indexing, in that it will allow us to use index zero for the first term in the series. In section 2.3, we defined a function coeff[n] which returned the value of the nth coefficient Co2[[n]] in the above expansion. We use that function now to creat the coefficient functions A[n] and B[n] corresponding to An and Bn. A@n_D := Va I-an+1 coeff@nD ë Ib2 n + 1 - a2 n + 1MM B@n_D := Va Ian+1 b2 n + 1 coeff@nD ë Ib2 n + 1 - a2 n + 1MM We now define the kth partial sum of the solution F. We call it Fsum3. Fsum3@r_, f_, k_D := SumAIA@iD ri + B@iD r-Ii + 1MM LegendreP@i, Cos@fDD, 8i, 0, k<E We check this by looking at the first two partial sums. a = 2 H** m **L; b = 4 H** m **L; Va = 10.0 H** volts **L; Next we define a function grapher[r,k] which uses the kth partial sum to construct a plot of potential versus f on the sphere of radius r.
Now we use 10 terms in the series, and we construct a sequence of 6 plots going in equal r-increments from r = a to r = b. The first and last graphs verify the boundary conditions that we have imposed on the inner and outer sphere. The remaining graphs show how the solution of the Laplace equation interpolates smoothly between these. We can also use the Manipulate command. We will construct 21 graphs with r varying in equal increments from the inner to the outer boundary.